Samsung might be preparing fingerprint scanner for their next flagship device. And, they’re planning to put it in the screen. You don’t need a button for that like Apple made iPhone 5S. 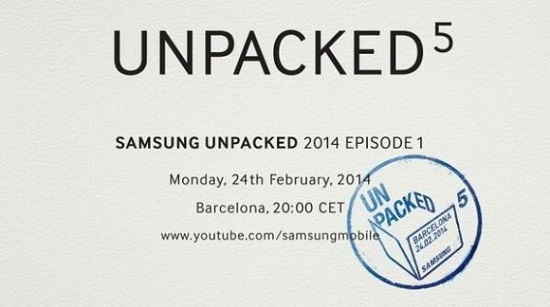 Samsung might have few more exciting things in their sleeve for their Unpacked 5 event. Basically, there were and still are a lot of rumours about Samsung Galaxy S5. Many times the device showed up in benchmarking sites showing different specs and scores. This phone can cross the popularity of Galaxy S4. Everyone is expecting the display could be bit bigger in size. Samsung didn’t say a word officially on the price, specs or availability. They might start shipping the Galaxy S5 from end of this month some report says. The price will be high in the beginning and over time it will come down as like the earlier Galaxy models. There might be some different versions of this phone. For different networks or country. It wont be surprising if there is a Google Play Edition Galaxy S5 comes out as well. As, there is news that Google is dropping the Nexus line of devices in favour of Google Play Edition handsets. Rumours also suggesting that the Android 4.4.2 KitKat running phone will have a 16 MP camera at the back. And, also there might not be a 64 bit processor in there. But, the phone will launch with some new & nice features. As a waterproof version like the Galaxy S4 Active there might be a version Galaxy S5 Active. Should we expect a 4K Ultra HD screen as well?